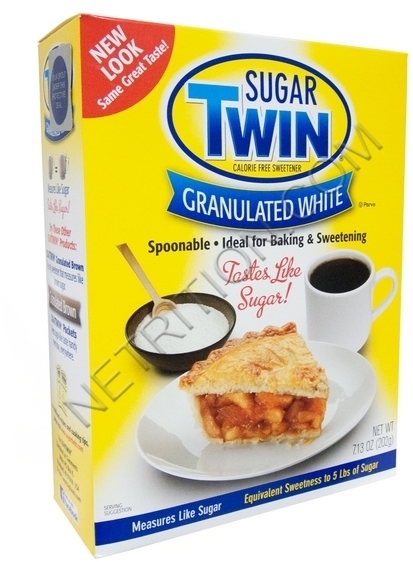 SugarTwin is the calorie free alternative to sugar for cooking and baking, retaining its sweetness when heated. Sweetened with maltodextrin and sodium saccharin. Measures and pours like sugar.